No one lights a lamp and then covers it with a bowl or hides it under a bed. A lamp is placed on a stand, where its light can be seen by all who enter the house. 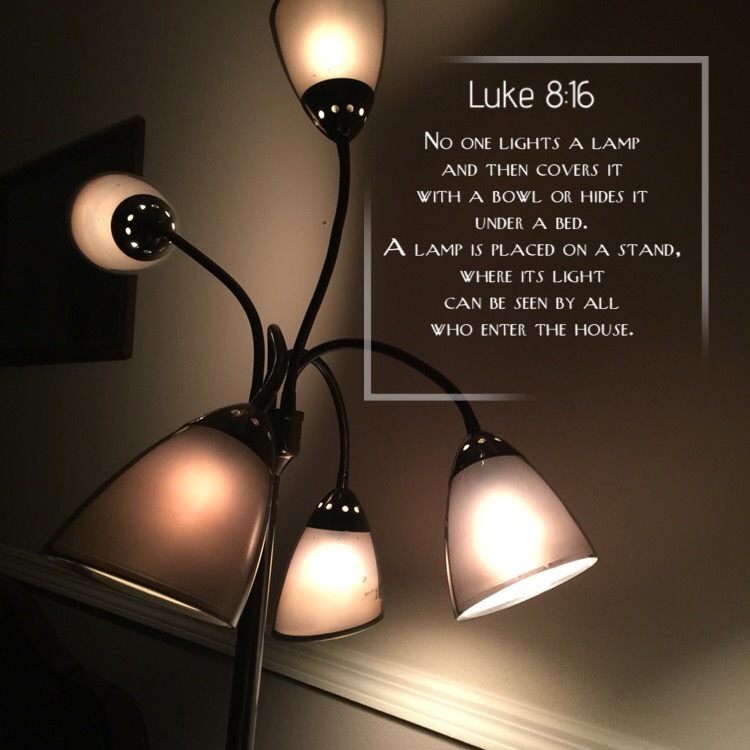 This entry was posted in Bible verses on photos and tagged floor lamp, lights.